Jamie Goldberg of The Oregonian has reported that Katherine Reynolds could be in the XI on Saturday against the Washington Spirit. The Thorns’ defender was an unused substitute last weekend against the Courage and has not played this season due to a nagging groin injury. 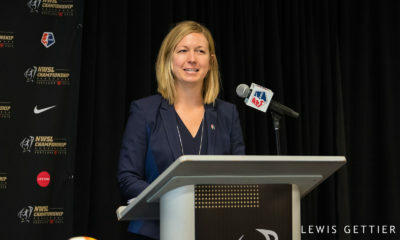 Reynolds was acquired from the Spirit ahead of the 2016 season and was an integral part of the team’s Shield winning season. She was also a regular starter in the Western New York Flash in their Shield-winning season of 2013. Sky Blue have waived forward Kim DeCesare and she will be pursuing opportunities overseas. 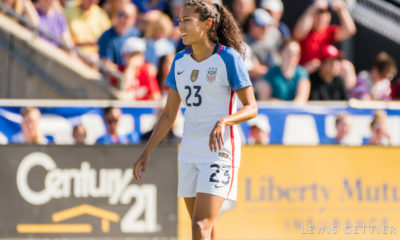 DeCesare posted and then deleted on her Instagram account on Wednesday that she is heading to Glasgow City in Scotland and The Equalizer’s Allison Lee has independently confirmed that DeCesare is heading to Glasgow. It's bittersweet to say goodbye to the club who handed me my first NWSL contract 2 and a half seasons ago. A special thank you to this organization, Sky Blue FC, and everyone involved on the field and behind the scenes (esp. trainer's, PT's & docs ?) for giving me the opportunity to follow my dreams and do what I love every day here in the U.S. Thank you to my teammates for challenging me and supporting me through the ups and downs of being a female professional athlete, and for being undoubtedly loyal friends. Thank you to our incredible fans and Cloud 9 for always making us feel valued no matter the outcome of the game or if we put in minutes or not. Thank you to my family and friends to making it out to nearly every game to cheer me on regardless of whether I put on my game day jersey. And lastly, thank you to each little girl who patiently waits in the stands for an autograph, because we need you more than you need us, to help inspire the growth of the league and the women's game. You are the future. I appreciate each and every one of you. Lastly, good luck to @skybluefc the rest of this season, I will be cheering you on always- bring home the ?!! #beezup #NWSL With all that said, I am excited for the next step in my playing career ??. Until next time Jerz ??☀️⚽️?? 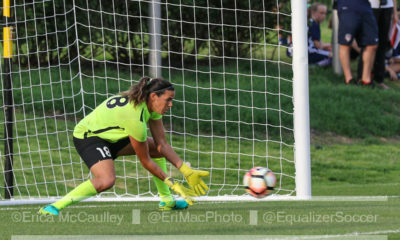 DeCesare made one appearance for the Breakers in 2014 and signed her first full professional contract with Sky Blue ahead of the 2015 season. Over the last two seasons she made 15 appearances with 7 starts and also dealt with injuries during both campaigns. She did not appear in a match in 2017. Sky Blue did not immediately announce a replacement for DeCesare. She becomes the third player to be waived recently without appearing in a match in 2017. 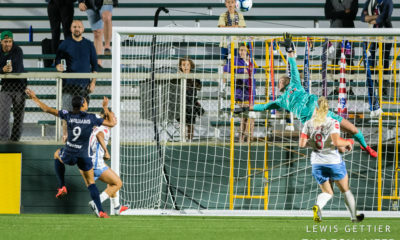 The Reign waived Michaela Hahn late Monday and Lee reported that FC Kansas City has parted ways with Brianne Reed. The U.S. U-17s rallied on three separate occasions and took a brief lead in the second half before losing 5-4 at the death to China in the final match of the U-16 CFA International Women’s Youth Football Tournament on Sunday. The U.S. finished the tournament 1-1-1 after defeating Japan 2-0 and drawing Canada 1-1 earlier in the week. 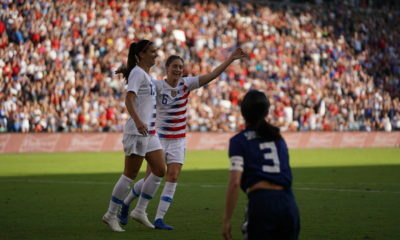 In Sundays finale, Jordan Canniff scored once just before halftime and again just shy of an hour to give the U.S. a 4-3 lead. China equalized four minutes later and won it through Linyan Zhang in the 90th minute. Kate Wiesner and Ainsley Ahmadian scored first half goals—both equalizers. The U-17s are preparing for the 2018 U-17 World Cup in Uruguay next fall. Hope Powell is returning to the sidelines. 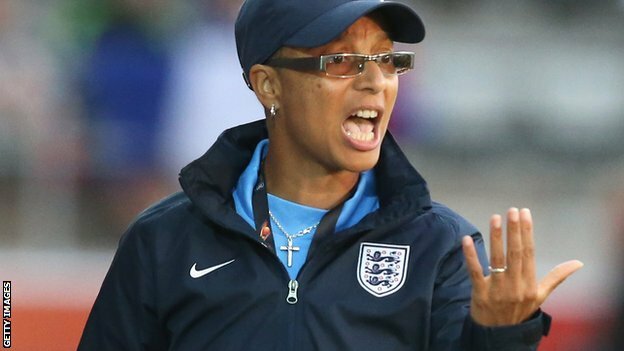 Longtime England manager Hope Powell is returning to the sidelines as the new field boss at Brighton & Hove Albion. Powell’s first order of business will be to try winning promotion to FAWSL 1. The club will play this season in FAWSL 2. Powell played for England between 1983 and 1998 and then took over as the program’s first full-time head coach, remaining in that position through 2013. As a player she scored 35 international goals and as coach she took the team to consecutive World Cup quarterfinals in 2007 and 2011. England were also European Championship runners-up to Germany in 2009. In 2012 Powell coached Team Great Britain—a conglomeration of players from the countries of Great Britain—at the Olympic Games in London. Rae Dower is the new U-17 coach in Australia. She will lead the team affectionately known as the Westfield Junior Matildas. 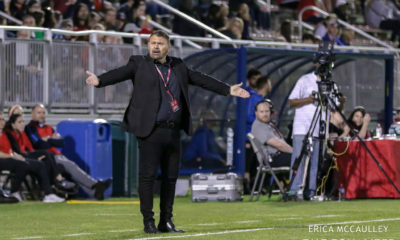 Dower coached Canberra United in the W-League the last two seasons, reaching the playoffs and losing in the semifinals both seasons. Earlier this year Dower and Canberra fell in extra time to Melbourne City FC on a goal by Jessica Fishlock. Like the U.S., the Australian U-17s are pointing to next year’s U-17 World Cup.